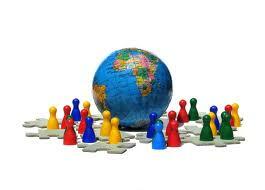 Identify the various opportunities presented by international business. Importing (buying products overseas and reselling them in one’s own country) and exporting (selling domestic products to foreign customers) are the oldest and most prevalent forms of international trade. For many companies, importing is the primary link to the global market. American food and beverage wholesalers, for instance, import the bottled water Evian from its source in the French Alps for resale in U.S. supermarkets. Other companies get into the global arena by identifying an international market for their products and become exporters. The Chinese, for instance, are increasingly fond of fast foods cooked in soybean oil. Because they also have an increasing appetite for meat, they need high-protein soybeans to raise livestock. As a result, American farmers now export over $1 billion worth of soybeans to China every year. Because of high domestic labor costs, many U.S. companies manufacture their products in countries where labor costs are lower. This arrangement is called international contract manufacturing or outsourcing. A U.S. company might contract with a local company in a foreign country to manufacture one of its products. It will, however, retain control of product design and development and put its own label on the finished product. Contract manufacturing is quite common in the U.S. apparel business, with most American brands being made in Asia (China and Malaysia) and Latin America (Mexico and the Dominican Republic). Thanks to twenty-first-century information technology, nonmanufacturing functions can also be outsourced to nations with lower labor costs. U.S. companies increasingly draw on a vast supply of relatively inexpensive skilled labor to perform various business services, such as software development, accounting, and claims processing. For years, American insurance companies have processed much of their claims-related paperwork in Ireland. With a large, well-educated population, India has become a center for software development and customer-call centers for American companies. In the case of India, as you can see in , the attraction is not only a large pool of knowledge workers, but also significantly lower wages. Alliances range in scope from informal cooperative agreements to joint ventures—alliances in which the partners fund a separate entity (perhaps a partnership or a corporation) to manage their joint operation. Magazine publisher Hearst, for example, has joint ventures with companies in several countries. So, young women in Israel can read Cosmo Israel in Hebrew, and Russian women can pick up a Russian-language version of Cosmo that meets their needs. The U.S. edition serves as a starting point to which nationally appropriate material is added in each different nation. This approach allows Hearst to sell the magazine in more than fifty countries. Many of the approaches to global expansion that we’ve discussed so far allow companies to participate in international markets without investing in foreign plants and facilities. As markets expand, however, a firm might decide to enhance its competitive advantage by making a direct investment in operations conducted in another country. Foreign direct investment (FDI) refers to the formal establishment of business operations on foreign soil—the building of factories, sales offices, and distribution networks to serve local markets in a nation other than the company’s home country. FDI is generally the most expensive commitment that a firm can make to an overseas market, and it’s typically driven by the size and attractiveness of the target market. For example, German and Japanese automakers, such as BMW, Mercedes, Toyota, and Honda, have made serious commitments to the U.S. market: most of the cars and trucks that they build in plants in the South and Midwest are destined for sale in the United States. A common form of FDI is the foreign subsidiary: an independent company owned by a foreign firm (called the parent). This approach to going international not only gives the parent company full access to local markets but also exempts it from any laws or regulations that may hamper the activities of foreign firms. The parent company has tight control over the operations of a subsidiary, but while senior managers from the parent company often oversee operations, many managers and employees are citizens of the host country. Not surprisingly, most very large firms have foreign subsidiaries. IBM and Coca-Cola, for example, have both had success in the Japanese market through their foreign subsidiaries (IBM-Japan and Coca-Cola–Japan). FDI goes in the other direction, too, and many companies operating in the United States are in fact subsidiaries of foreign firms. Gerber Products, for example, is a subsidiary of the Swiss company Novartis, while Stop & Shop and Giant Food Stores belong to the Dutch company Royal Ahold.